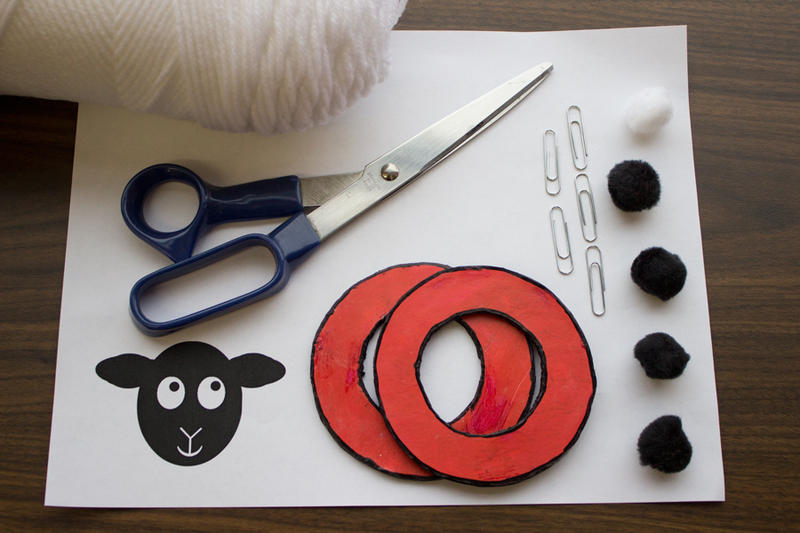 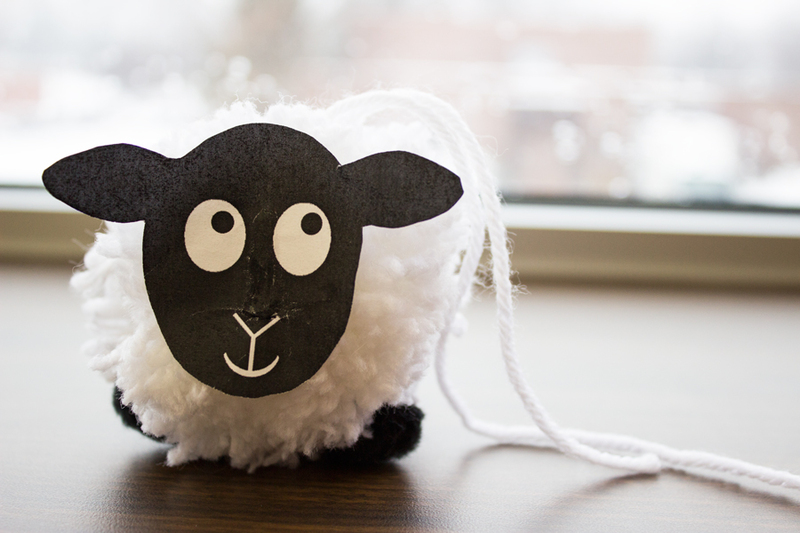 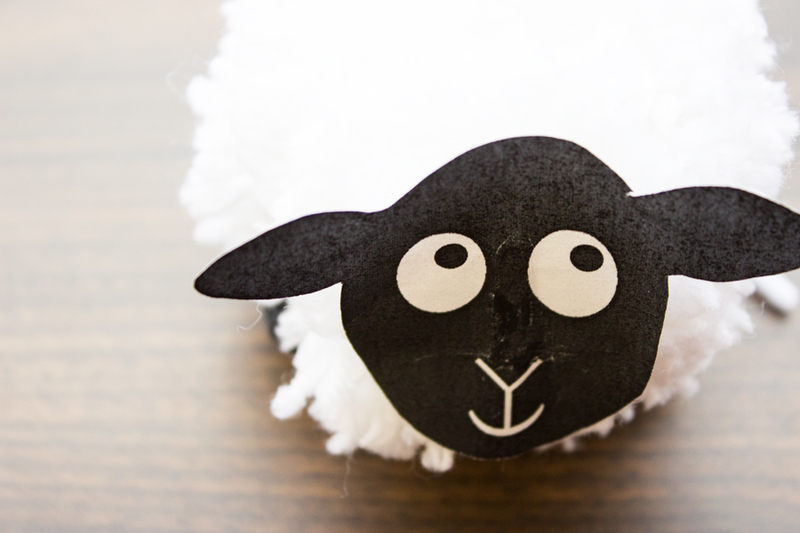 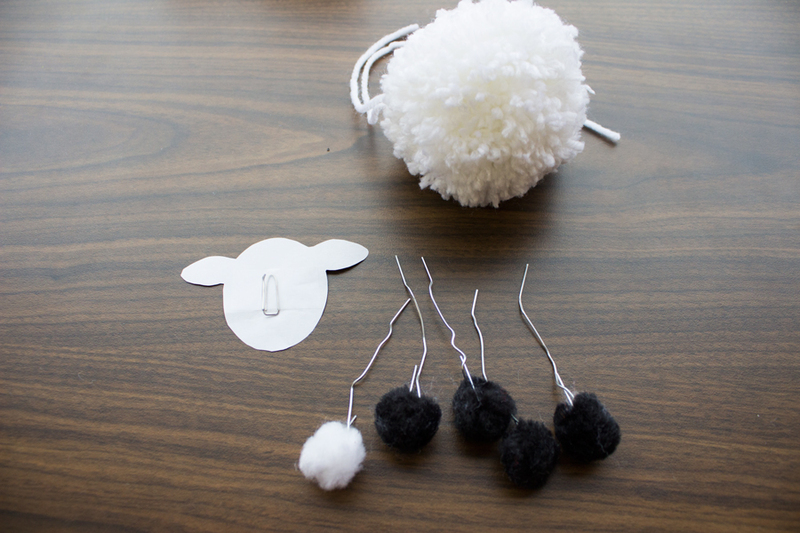 Celebrate the One who is both the Good Shepherd and the Lamb of God with this sweet sheep craft. 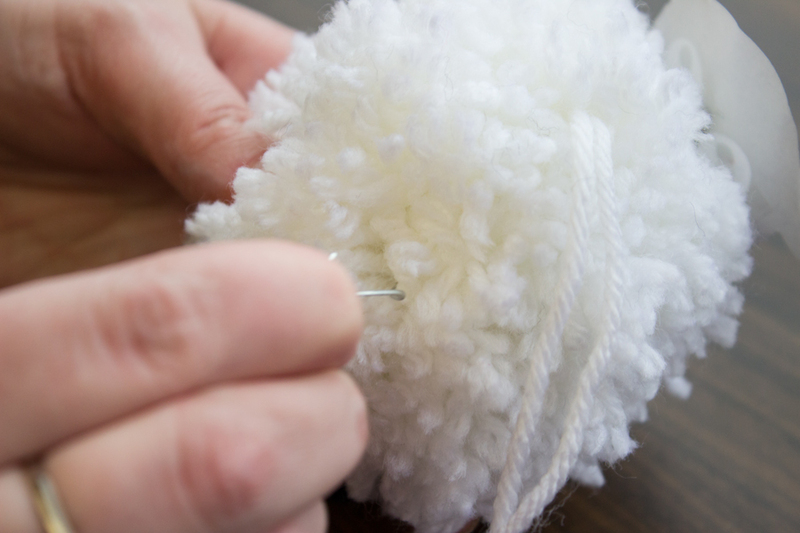 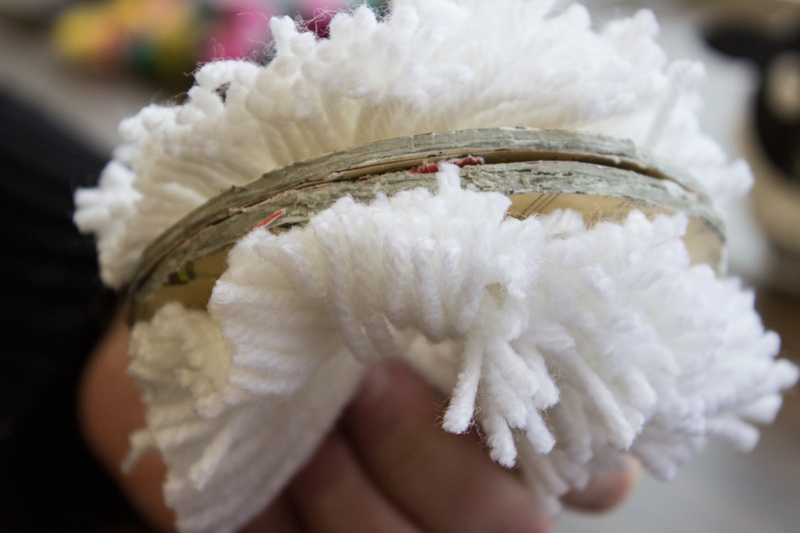 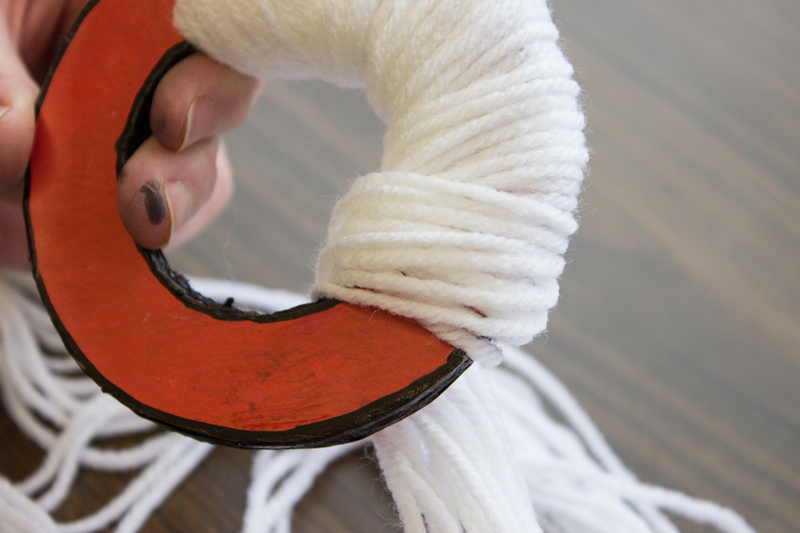 Step 2: Wrap yarn around the edges of the DIY pom-pom maker circles. 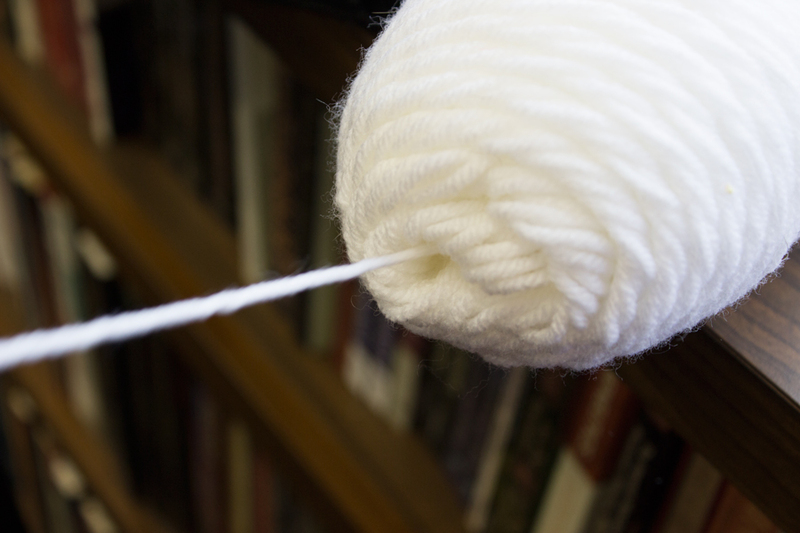 When you start, make sure to hold the end of the yarn down with your finger. 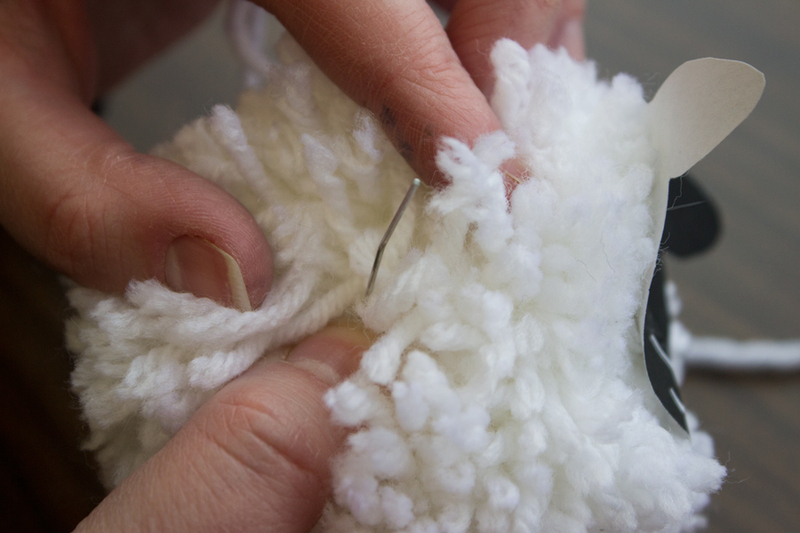 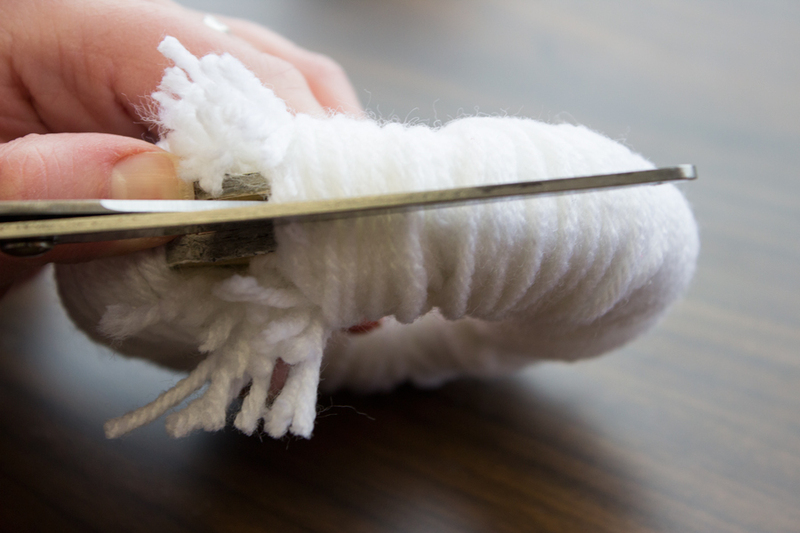 Then as you wrap the yarn around a second time, wrap the yarn over the finger that is holding the yarn down. 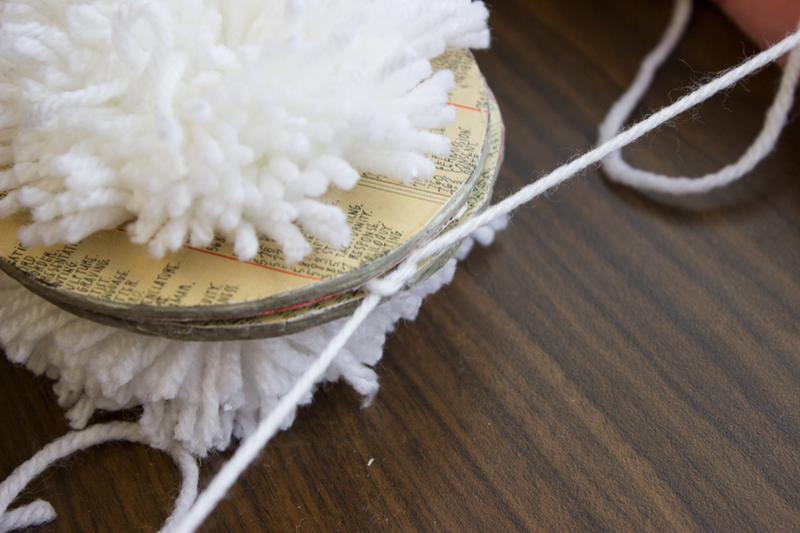 As you pull the yarn down to hold the ends down, pull your finger out of the yarn and press it back down to hold the yarn in place. 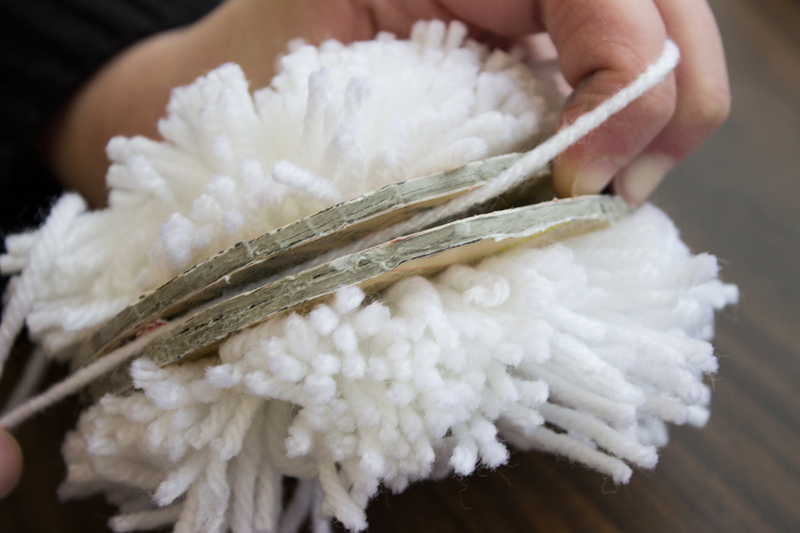 You can release the yarn as soon as you can feel the yarn is secure and will not fall off the circle when you take your fingers off. 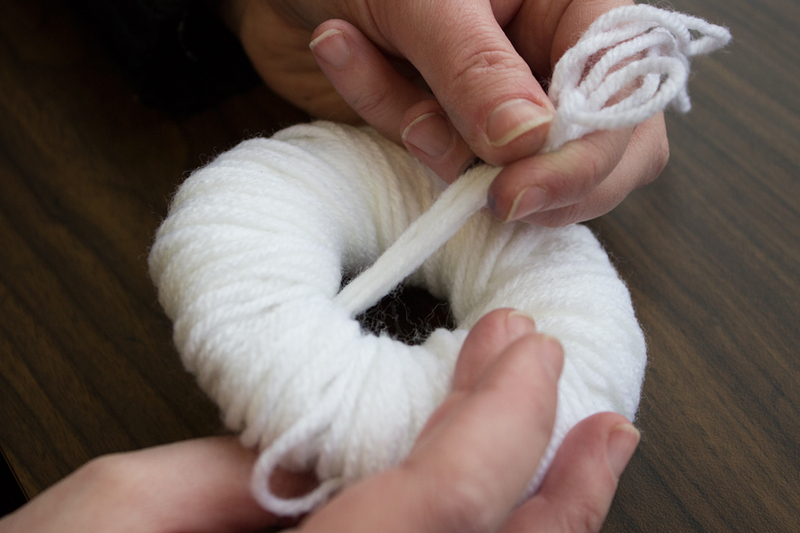 Continue to wrap the yarn around the two circles until the rings are completely covered in yarn. 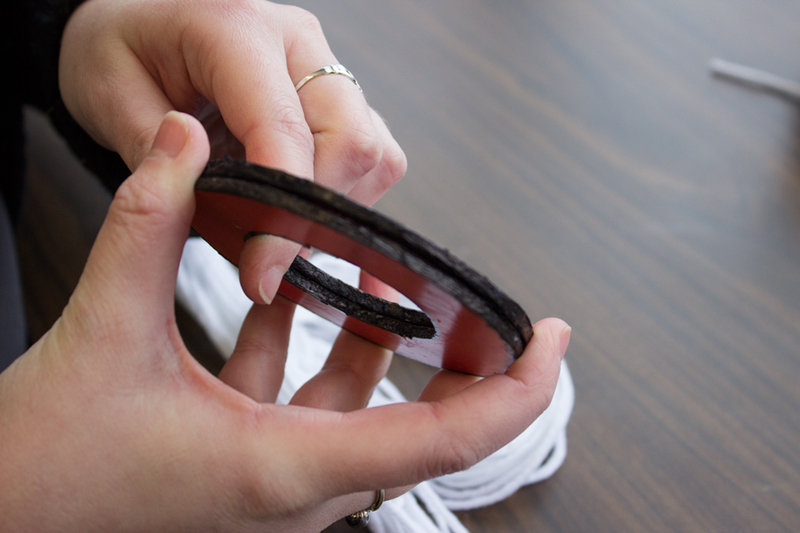 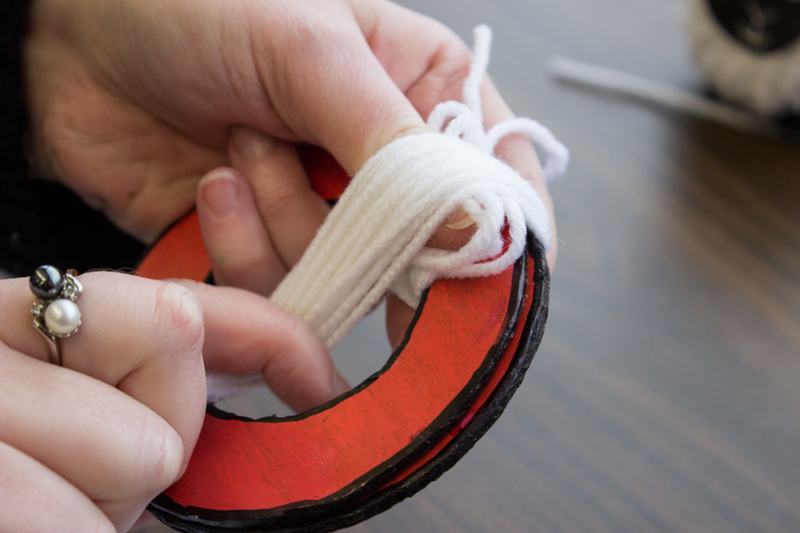 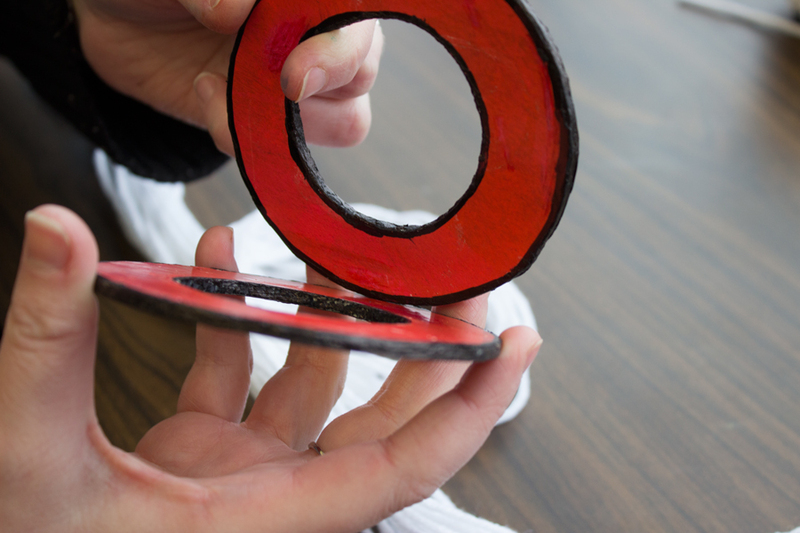 Step 4: Slide the scissors in between the two discs and cut around the outside of the ring. 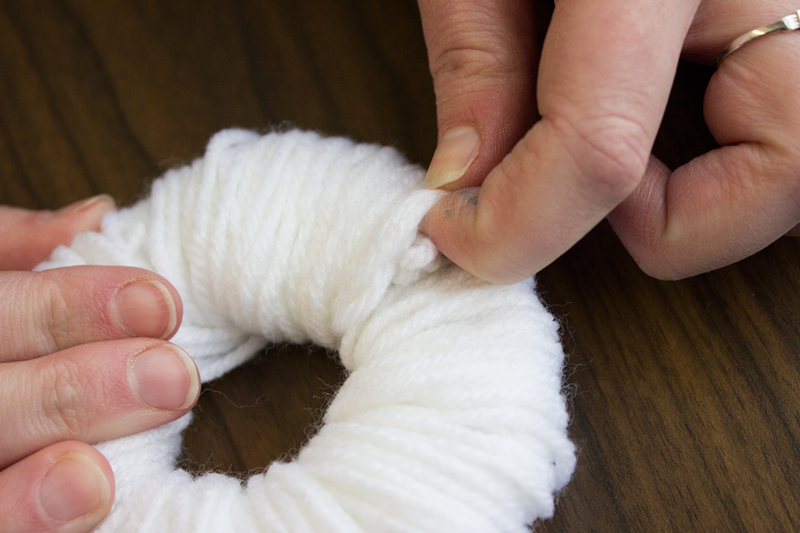 Step 5: When you have finished cutting the yarn, gently pull the two rings slightly apart. 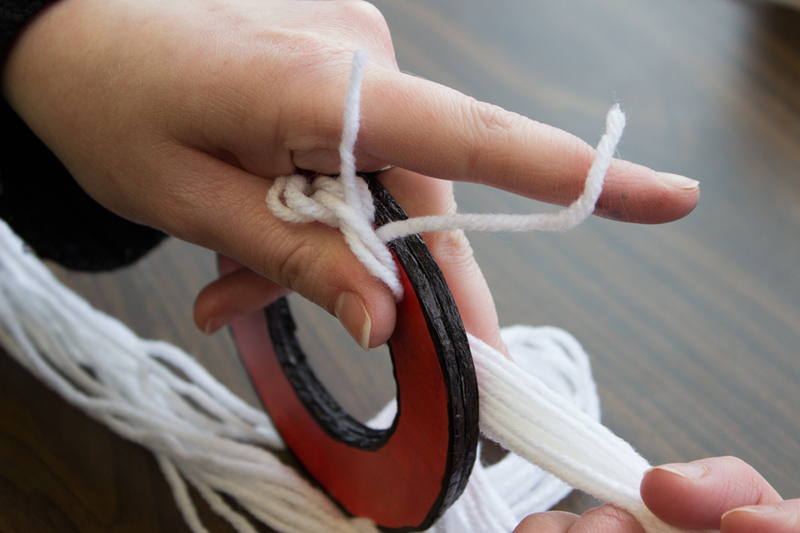 This will allow you to slip a piece of yarn between the two rings. 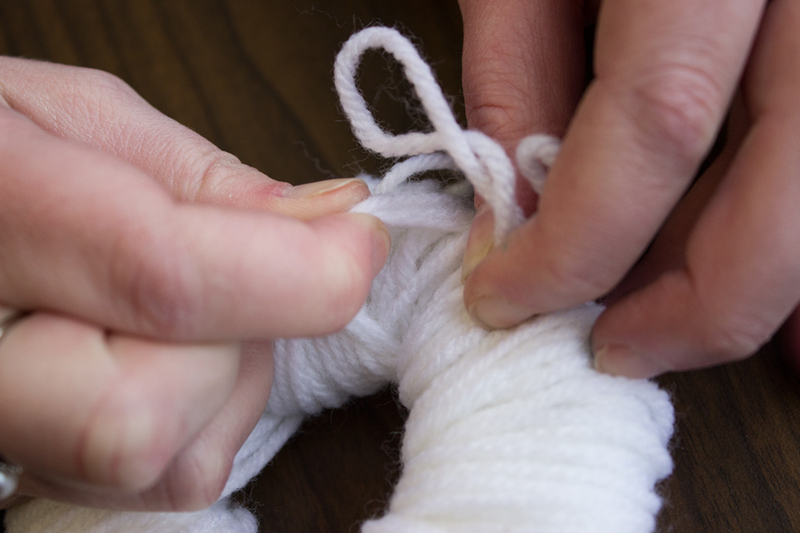 Step 6: Tie the yarn you wrapped around the middle of the yarn and secure tightly. 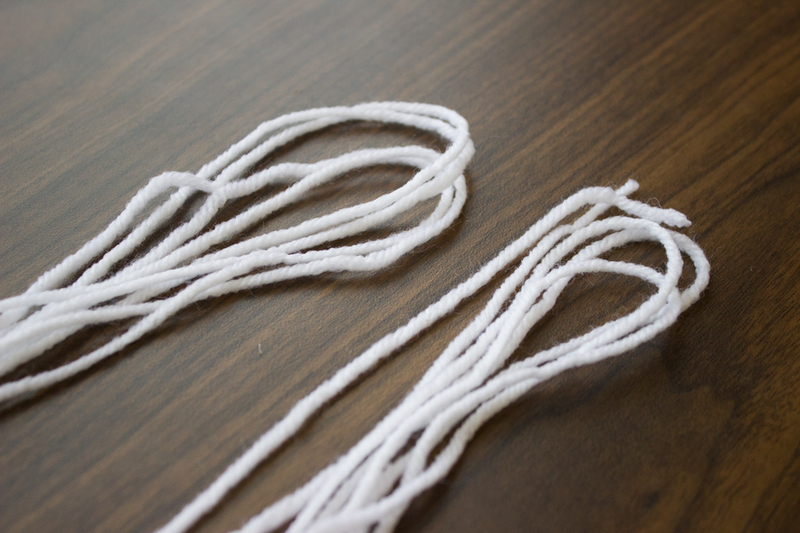 Step 7: Once you have the yarn tied, gently pull both rings off of their respective sides. 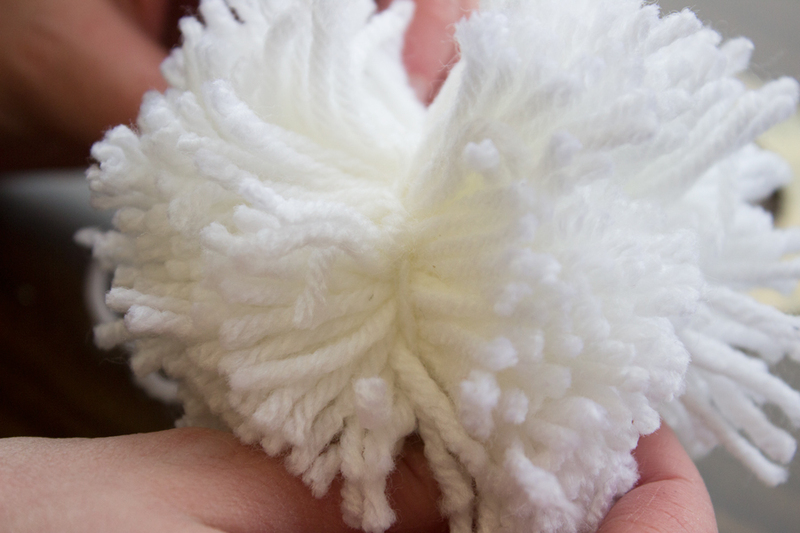 You should now have a pom-pom. 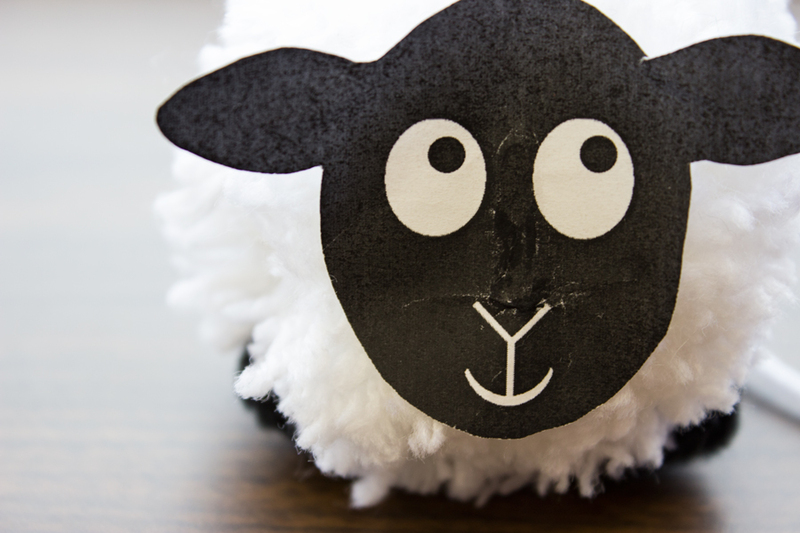 Step 8: Print out lamb’s head template and cut it out. 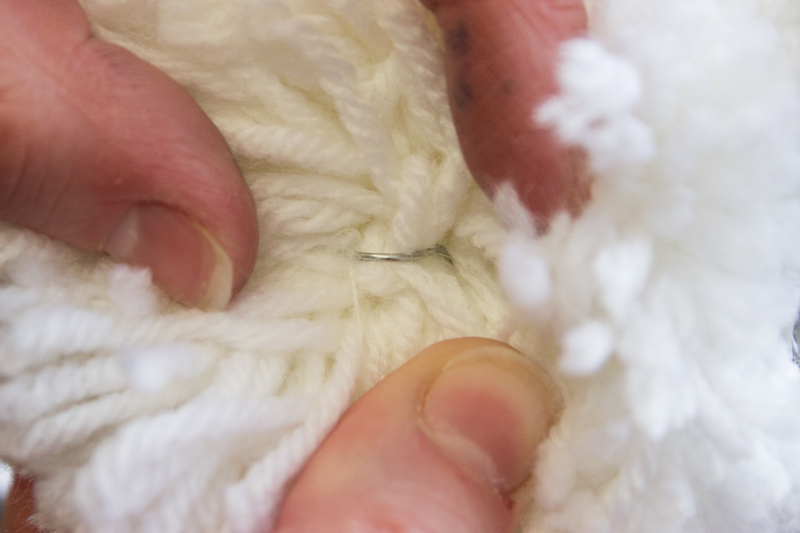 Step 9: Straighten one end of a paper clip and tape the flat end to the back of the lamb’s head. 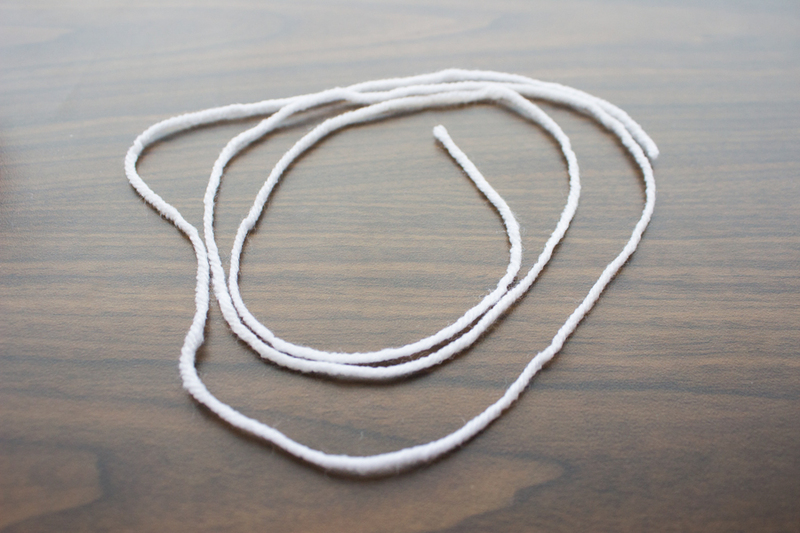 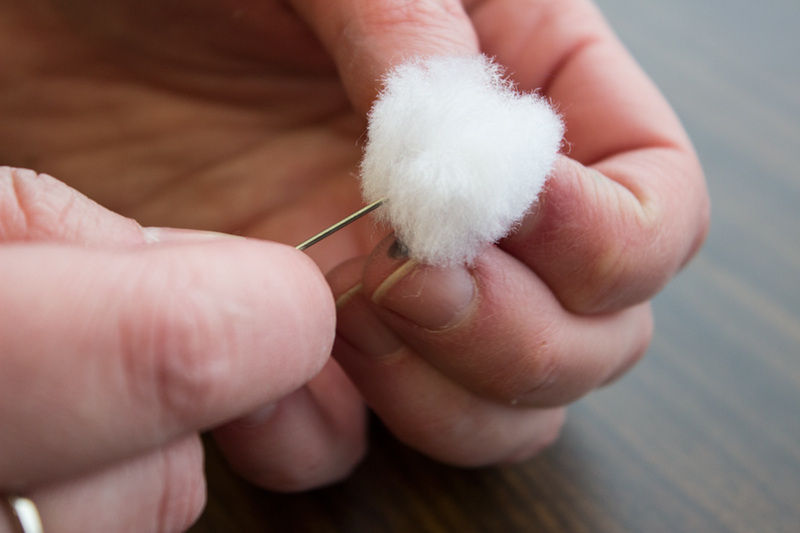 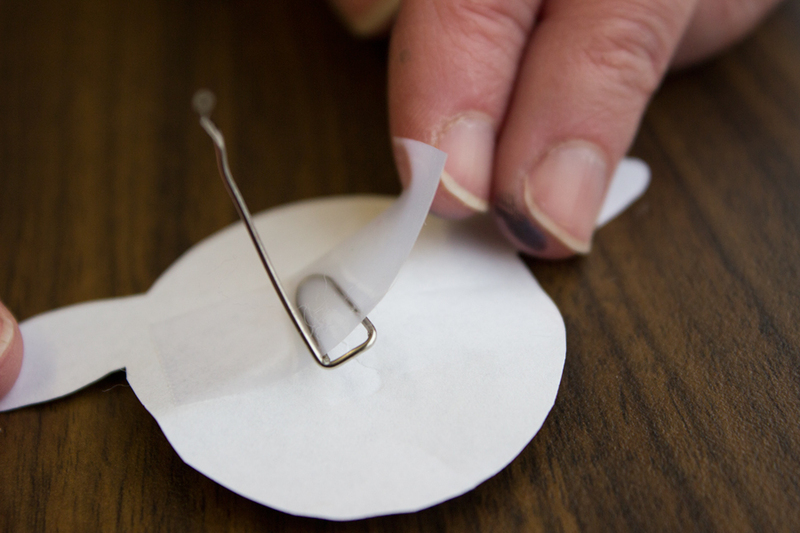 Then push the straightened paper clip through the center of your pom-pom and secure it by bending the end back on to itself. 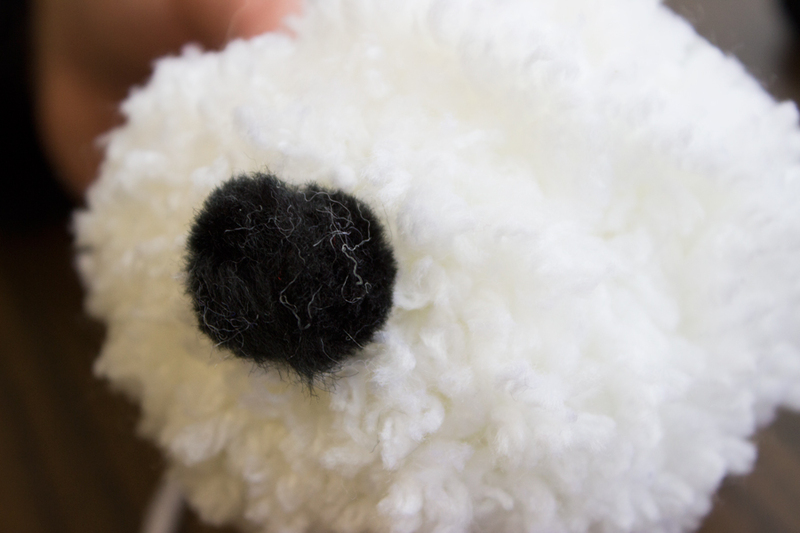 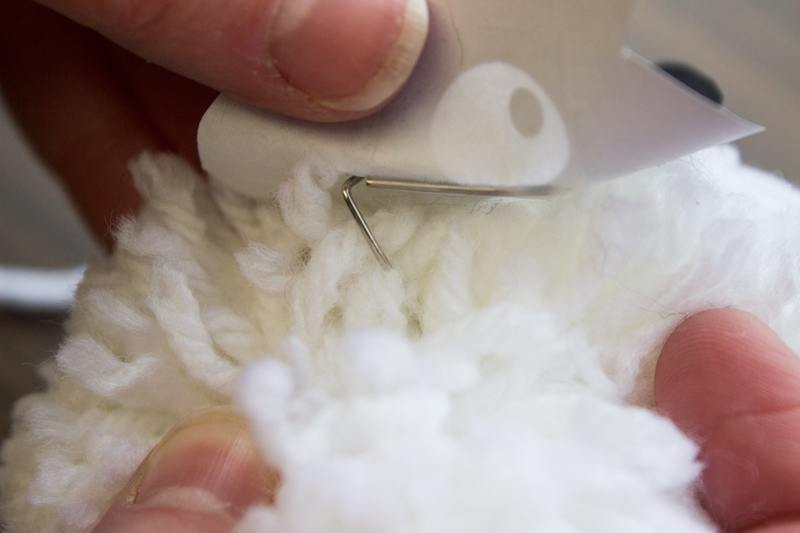 Step 11: Secure the white pom-pom on the opposite end as the head. 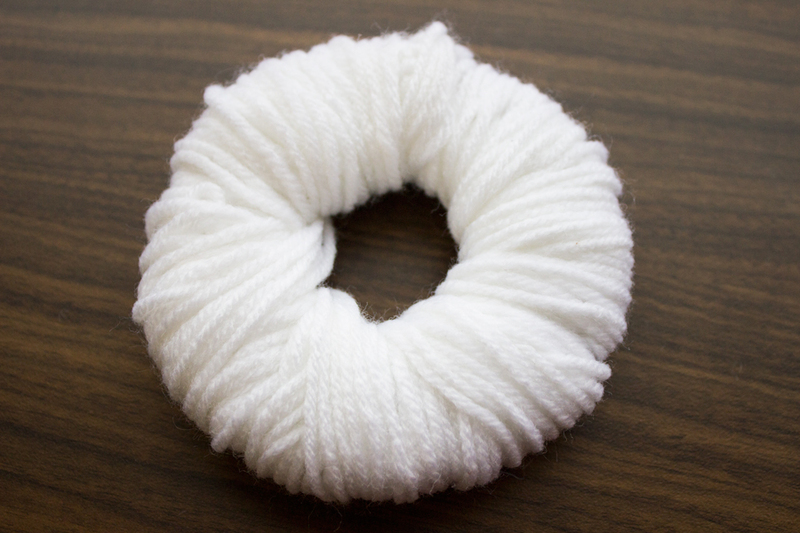 This will be the lamb’s tail.